Services provided by our industry partners to companies in the cohort of 10 finalists. Our partnering providers will choose the recipients of their services — valued at $300k — from among the 10 Rosenman Innovators. Criteria include technology, market potential, and how much a startup would benefit from a particular service. Services must be used within 12 months of final pitch event. Alloy is excited to once again award one Rosenman Innovator with 50 hours of engineering services. The award can be applied to a range of engineering offerings including: engineering feasibility evaluation, design architecture review & development, design risk assessments, brainstorming, PCB design, 3D CAD design, prototyping, & testing. All awarded hours must be used by the end of 2019. Alloy is a product engineering firm focused on mechanical, electrical and firmware development. We collaborate with top designers, companies and entrepreneurs to bring their visions to life and solve difficult problems by applying creativity, experience, and sound engineering principles. Product engineering is what we love to do. And it’s all we do. That means we focus all our efforts and services on delivering exceptionally designed products, from concept to production, at industry-leading speeds. Alloy’s medical device and consumer health business draws on our experience bringing products to market across a broad range of industries. We are proud to have served both small and large companies within this space including: Genentech, Novartis, PROCEPT BioRobotics, Roche Diagnostics, & Zeto. Data generated during the BioSurg Award program will be owned by either the company or entity that has developed or licensed the technology. BioSurg and the owner of each technology receiving a BioSurg Award shall enter into a confidentiality agreement. BioSurg, Inc. was founded to provide medical device and drug companies a combination of knowledge, surgical and medical skills and physical facilities for nonclinical investigative studies. Our facility was designed and built for nonclinical feasibility and Good Laboratory Practice (GLP) studies in a variety of animal models. For more than 25 years we have provided high quality, nonclinical acute and chronic laboratory study services, with rapid turn around times. Our capabilities are applicable to a wide variety of test article devices for all body systems and a variety of test system species. Our scientific staff presently consists of five veterinarians, one physician, and numerous technical and animal husbandry support staff. In addition contracted certified medical and boarded veterinary specialists provide their expertise as contributing scientists. Brown Rudnick will provide a one-full day (up to 8 hrs.) intellectual property strategy session for a company. Brown Rudnick will first review company background materials (e.g., investor presentations, technical documents, existing intellectual property, etc.). Brown Rudnick will then host an intellectual property strategy session for the company with a team from the firm that includes at least one partner. The session will focus on creating a general plan for development and implementation of the company’s patent portfolio. The goal of the session will be to lay-out a plan to create a dominant position with respect to the company’s proprietary products. The session will also focus on how to create commercial barriers-to-entry against competitors. Brown Rudnick will provide a written summary of the session. Brown Rudnick’s Global Life Sciences Group consists of a dedicated team of professionals focused on helping life sciences companies across the world. We also work closely with management teams, lenders, and investors active in the life sciences sector. Our clients span the life sciences spectrum, including pharmaceutical, medical device, diagnostic, biotechnology, biopharmaceutical, biomedical, and nutraceutical. Our multi-disciplinary team includes lawyers who were former executives and in-house counsel in life sciences companies and have significant first-hand experience with the business and legal issues facing clients in this sector. Clients trust us to provide practical advice that is based on a deep foundation of experience and understanding of the life sciences sector and the challenges confronting companies at every stage of the business life cycle. We help companies around the world turn good science into good business. Our global representation includes advising clients in major life sciences markets in North America and Western Europe, as well as emerging markets in Central and Eastern Europe, Africa, the Middle East, South America and Central and Eastern Asia. Our clients range from start-ups to established, multi-national public companies, as well as those who invest in such companies. Our deep relationships with both companies and investors make us uniquely situated to bring together businesses that need financing with funding sources who are a good match, taking into account the company’s vertical space, its stage of development and management team. With these close industry connections, we also help bring together companies looking for an exit with potential acquirers. With our knowledge and experience, our life sciences team delivers results and helps clients move to the next level. We care as much about your business as you do. One year pass to our CQG “office hours”, which is targeted at early stage ventures, and is designed to give a founder/CEO a once-a-month check-up and opportunity to have a quality management voice at the table at critical stages. The service is delivered remotely/virtually. Co-working lab bench space: CQG gives you a place to tinker on a lab bench for 6 months on a space-available basis. Access to our Founders Club includes use of the kitchen and 5 hours/month of conference room time, so you can invite your board or investors over to see your progress. We also offer various pieces of equipment like ovens, hot boxes, adhesive dispensers, tensile testers, etc for rent on a daily/weekly, or monthly basis. Controlled Environment Room access: CQG gives you two full weeks of time in our Controlled Environment Room (120 sq ft, class 7) on a space-available basis. Include 3 hours of conference room time/week, access to the kitchen, as well as access to various pieces of equipment like ovens, hot boxes, adhesive dispensers, tensile testers, etc for rent on a daily/weekly, or monthly basis. 100 hrs of design time, plus 20 hrs of mentoring over a 1 year period. 50 hrs design/ engineering time in the first 6 months, plus 10 hrs of mentoring. After 6 months, D+I will mutually agree with the company to continue and repeat the 50 hrs design/ engineering time over the next 6 months, plus the 10 hrs mentoring support. The 50 hrs could be fully applied to mechanical and industrial design, or can be split up to half on electronics design support. Materials costs, expenses like shipping, taxes, etc. will still be borne by the awardee company we. Additional hours required over and above the 50 hrs would be at a negotiated rate. Design + Industry (D+I) is Australia’s largest and leading industrial design and product development consultancy, with over 50 industrial designers and mechanical engineers in their Sydney and Melbourne offices. For more than 30 years they have been the leaders in product design and innovation in Australia. With an impressive portfolio of medical device development, D+I work with clients from initial concept through to overseeing production and any stage in-between. D+I have implemented a Quality Management System that is certified to ISO 13485:2016 — recognition of their dedication to design and engineering excellence in the development of medical devices. Our leadership in the development of scientific and medical devices has been recognised internationally, with D+I receiving over 170 awards for design and engineering excellence. 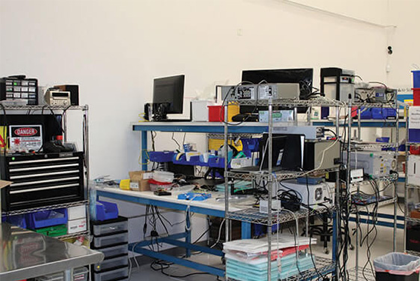 Whether you're developing a new device or looking to improve an existing one, D+I have the experience to guide you through the design, engineering, manufacturing, and regulatory challenges unique to medical device development. Factory CRO will offer an assessment of the current reimbursement market related and applicable to the product. This will allow the company to make informed decisions regarding coding strategy, evidence generation and can help to identify potential hurdles to reimbursement and payer coverage. This research will include a high level look at existing coding strategies, payer coverage policies and current reimbursement where available free clinical and regulatory strategy consultation, leading up to assisting the client develop a scope and budget for their research-based initiatives (6 months). Factory-CRO Group is a leading, full-service contract research organization focused on the management of clinical studies for medical devices, IVDs, biologics and device-drug combination products internationally. Founded in 1992, the business offers a full suite of trial management services to its global client base across a broad range of therapeutic areas, including orthopedic, cardiovascular, dermatology and aesthetics. Current members of Factory-CRO Group are: Boston Biomedical Associates in Boston, Five Corners CRO in Sydney, Milestone Research in San Diego and Factory-CRO the Netherlands. Galen Data allows medical device companies to connect their devices to cloud platform via a Web API or on-board SDK in as secure manner. Once the data is collected in our system, we provide visualization, analysis and secure storage of data. We provide mobile friendly web portals for patients, clinicians and manufacturers. We manage the operations, scalability and cyber security. We provide support and certification of compliance to FDA, HIPAA/GDPR, CE Mark and ISO 13485. Galen Data is a medical device software platform that accelerates medical device companies utilizing cloud technologies. Currently, cloud connectivity for medical devices is very costly and time consuming, requiring custom software and constant maintenance. Galen Data quickly allows companies to leverage the cloud while managing all the storage, security, access controls, maintenance, and updates thereafter. Our goal is to keep medical device companies focused on innovation and not on IT infrastructure. IO life science will support the winning team with 100 hours of design and engineering consultation to take their innovative ideas one step closer to fruition, which may include a prototype (CAD, video, animation, user experience, etc.) and engineering support (design & development, human factors engineering, verification, validation, transfer to manufacturing etc.). IO life science will work with the team over the next year as they develop their medical technologies. iO life science is a design & development services firm dedicated to transforming lives through the innovation of smart, connected, and patient-centric devices. We actively partner with healthcare entrepreneurs focused on creating breakthrough therapeutic solutions to unmet patient needs. Through iO investment initiatives, we offer technical services as a form of funding to accelerate the development of the company’s need to realize their vision and are committed to further investments from ideation through commercialization of healthcare solutions. Kilpatrick Townsend will provide eight hrs of pro bono legal in kind services focused on intellectual property. We help leaders create, expand, and protect the value of their companies and most prized assets by bringing an equal balance of business acumen, technical skill, and creative thinking to the opportunities and challenges they face. Our attorneys and staff are committed to our clients’ success. We take the time to understand our clients’ businesses, and work collaboratively with them to achieve their business goals — whether managing complex transactions, tackling global compliance, succeeding in litigation, or protecting their intellectual property. By investing in their success, we have helped clients make their businesses better, smarter, and more protected. Four hours of IP strategy and consultation-focused services, and another four hours of corporate advisory services (evaluating corporate structure, plans for capital raising, and moving toward liquidity). Maynard Cooper & Gale is a nationally recognized law firm with more than 270 lawyers. Headquartered in Birmingham, Alabama, the firm has offices in New York, Los Angeles, San Francisco and Washington, D.C., as well as three additional offices throughout Alabama located in Huntsville, Mobile and Montgomery. Our record and reputation confirm that we deliver desired results for our clients. We solve tough, complex legal problems for many of the world’s leading companies, including over 60 listed on the Fortune 500 with 32 of those in the top 100. We make it our priority to fully understand each client’s business and the climate in which it operates so that we can help them navigate challenges and prepare for what lies ahead. Our keen knowledge of the vast industries and dynamic legal environment equips us to provide paramount service with seamless attention to detail. Even though the list above is impossible to construct and carry through to completion during our consultation time, the candidate(s) will have a sense of the Regulatory Affairs path and the preparation needed to approach the FDA clearance or approval process. PaxMed International is a leader in Regulatory Affairs for the Medical Device Industry. We work with Medical device manufacturers of all sizes, providing the expertise required to rapidly bring to market emerging technical innovations. The PaxMed International consulting team has the qualifications and experience to help bring your device to market. We offer a high-integrity approach to the most daunting challenges for a medical device manufacturer: regulatory product review and regulatory compliance. Working with the PaxMed team means you’re working with experts in regulatory affairs, quality assurance, clinical trials, biocompatibility, biomaterials, and implantable devices. Scope of services: Four hours of services focused on IP strategy, and four hours of services focused on IP transactions and corporate strategy for emerging companies (e.g., IP contracts, raising capital, and other corporate matters affecting start-ups). Perkins Coie attorneys have the depth and breadth of expertise and resources to scale with companies as they grow, and to help them succeed over the long term. We take a pragmatic and solution-oriented approach to counsel, and we know how to get things done while striking the right balance between advocacy and compromise. With one of the nation’s largest and most active technology-oriented business practices, we have unmatched experience in handling complex corporate finance, intellectual property, technology transfer and other business issues on behalf of innovative startups and investors. Our team combines decades of experience with the power of Perkins Coie’s network to provide entrepreneurs the resources required to navigate the ever-changing landscape. Create a plan for contextual research efforts to identify user needs. Contextual inquiries are field research where researchers observe people using health technology, products, or systems. Conducting the research within the context of use allows us to observe and document the tasks, tools, and strategies people use to accomplish their objectives. Research Collective is a full-service human factors and user experience research firm. We do early design, formative and validation studies for health technology companies seeking better designs and FDA clearance. We believe rigorous, human-centered design is a critical component to the success and to the safety of a product or procedure. Our team of researchers have MS and PhD degrees in human factors and cognitive science, with significant experience in research design, fielding, advanced statistical analysis and reporting. We've worked with health technology clients, large and small, including: Bard, BD, Medtronic, Mayo Clinic, SynCardia, Everist Health and Intuitive Surgical. Click here to learn more. Strategic Marketing Innovations (SMI) will provide 8 hours of discussion with one company on the strategy for securing federal funding. SMI will first review background materials, technical documents, and all federal marketing efforts conducted to date. SMI will then conduct a strategy session with company representatives, including the Founder and/or CSO. This session will focus on defining the federal agencies and programs within those agencies that have mission statements suitable to the technology under development at the company. The goal of the strategy session is to lay out a concrete action plan on how the company should engage the federal government, including relevant programs, program staff, funding opportunities and funding vehicles. SMI will provide a written summary that includes a federal marketing roadmap, a visual representation of all relevant programs and players in the company’s technology area. This will include recommendations for specific federal agency program managers with whom the company should engage. SMI is a full-service government relations firm located in the nation’s capital that provides clients with consulting services focused on both federal appropriations and marketing. We have been providing government relations services to universities, high technology companies, and other organizations since 1993. Our offices are located at 1020 19th Street, NW. Our location is strategically positioned in downtown DC, with easy access to Capitol Hill and various federal department and agency buildings. SMI employs a full-time staff of 15 who include PhD-level scientists, lobbyists, retired military officials, policy analysts and expert advisors. SMI’s professionals have over seventy-five years combined experience working and marketing federal programs. In addition, SMI maintains a roster of over thirty-five Senior Advisors, primarily former high-level government officials and scientists with access and expertise across a wide breadth of government agencies and programs. SMI has access to senior officials and program managers across several federal departments and agencies. We work with our clients to open doors and gather information to help identify program opportunities, resolve issues, market new program concepts, and preposition clients for upcoming procurement opportunities. Our services cover the full life cycle of a federal initiative, including program planning, technical marketing, lobbying and program implementation. Our personnel have technical, program, contracting and legislative experience, which enables us to fully understand and respond to the needs of our clients, federal program managers and the legislative staff. SMI’s areas of policy expertise run the gamut, and include a particularly successful track record of defense, life science, energy and agricultural policy work. The Gore Silicon Valley Innovation Center is actively exploring and interested in connecting with potential partners working on health wearables solutions including patch devices with biometric sensing. Applications of interest include chronic disease diagnosis and management, in-hospital and remote monitoring, elderly care, pregnancy / child care and consumer health and wellness. Access to Gore’s Innovation laboratory for up to 2 weeks. Access is subject to Innovator agreeing to the terms of a License to use the facility, lab user guidelines and other conditions. Mentoring and expert materials consultation. Up to 4 hours per week of support to assist innovators in materials, product design and product requirements. Testing of materials and or products. Consultation in the development of product and material test protocols and access to Gore test equipment in order to perform testing of prototype materials. The number and type of tests performed will be at Gore’s discretion and is subject to resource availability. Additional terms and conditions may apply, available upon request. Young Basile will offer 10 hours of pro bono legal in-kind services focused on IP and startup law for the 2019 Rosenman Innovator program.